This page describes how to use 'favorites' in Crucible. 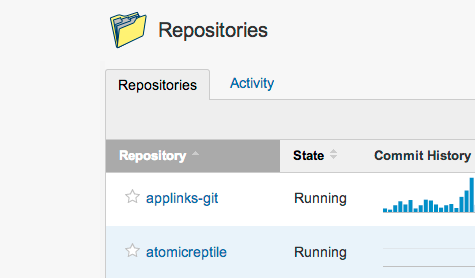 You can add code reviews, people and repositories to your favorites. This allows you to customize the information that you see in your activity stream. Try favoriting items that you are currently working on, to get greater relevance and context in your activity stream. You can view all your favorites at once in your profile – choose Favorites from your User menu (the one with your avatar). Hover over the review name, for example in the 'Open Reviews' list of the Reviews Dashboard. In the popup, click the cog icon and choose Add to Favorites. Review comment thread Click the grey star in the first comment of the comment thread. Project Click the grey star beside the project's name in the 'All Projects' list. See Browsing projects. Person Hover over a person's username and click Follow. 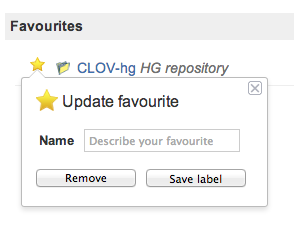 In the 'Repositories' list, click the grey star beside the repository's name. 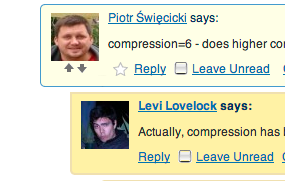 See Browsing source files.